LEGO Zelda, You Look So Good, Why Can't I Buy You? 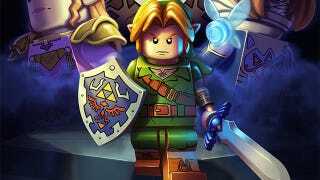 Artist Wes Talbott combines two of his - and, well everyone's - favourite things with this imaginary poster for imaginary Zelda LEGO. I look at this, and the more I look, the more it feels like a real thing. Then I look away, and remember it's not, and I get upset. I should really blame Wes, but I'll blame Nintendo and LEGO instead.